Just a mile from the internationally-recognised symbol for London that is Tower Bridge, in a quiet corner of London’s East End, is a time traveller’s dream. 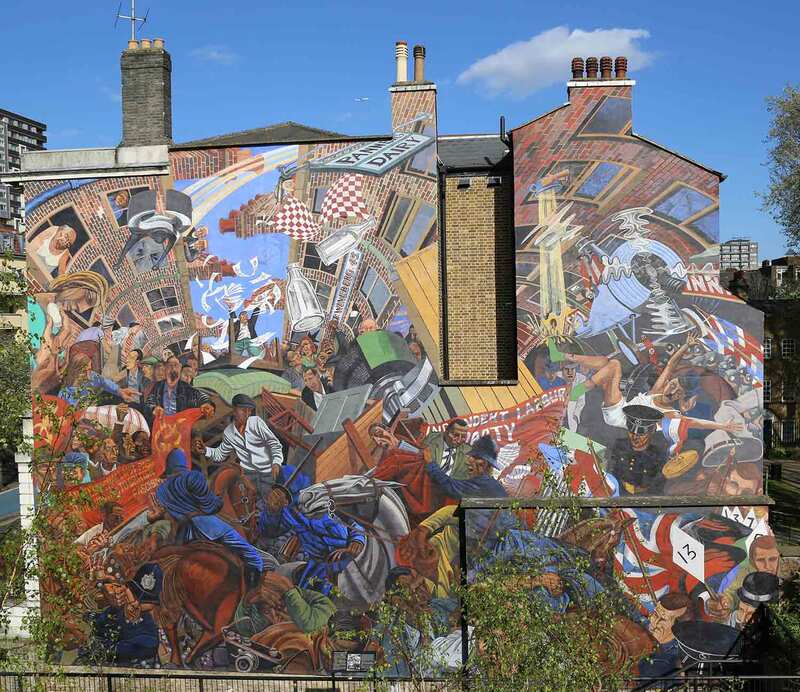 The Cable Street Inn is an 18th-century ex-public house (pub), situated opposite a mural which depicts the famous ‘Battle of Cable Street’, the great put-down of Britain’s rising Fascist movement in 1936. 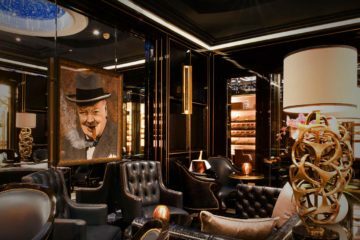 It was also formerly frequented by the notorious 1960s East End gangsters, the Kray Twins, and most likely once hosted another famously gay man, the playwright Oscar Wilde. 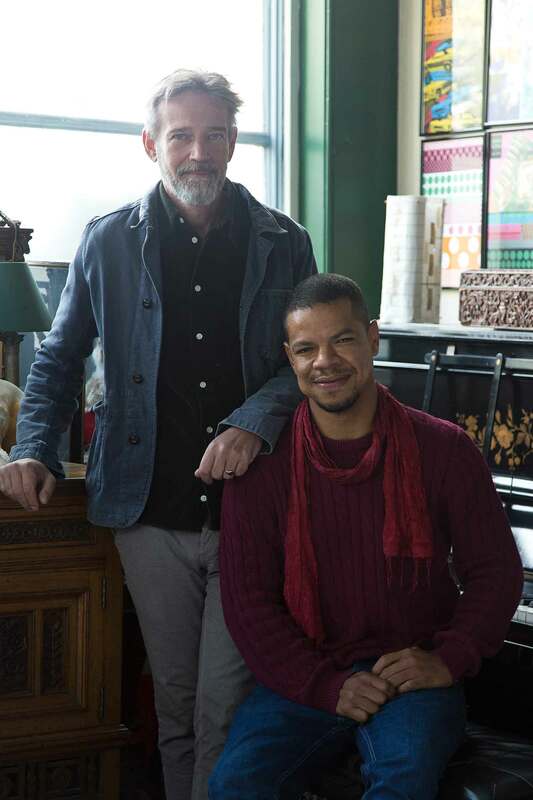 With such a colourful past peppered with famous (and infamous) gay figures, it seems fitting that the current owners should be a couple of creative men of distinction. 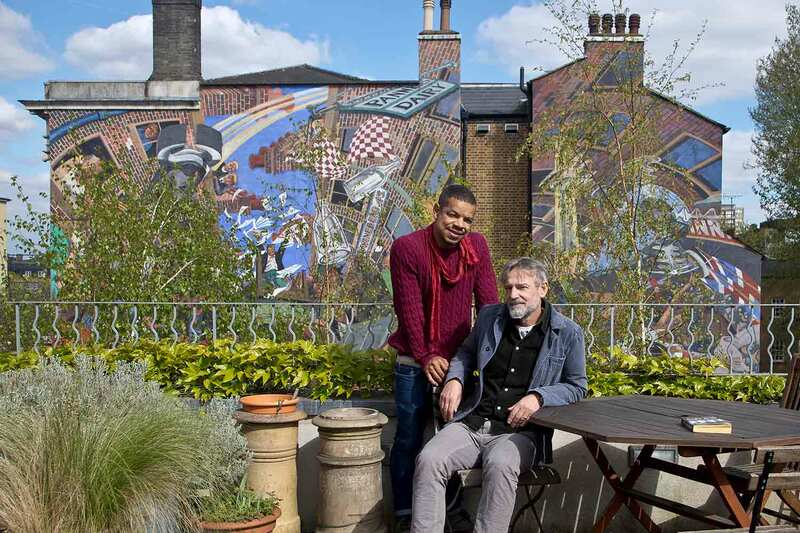 Film director Julian Cole and choreographer Jean Abreu have turned their unique, historical home into a guest house that should be on the list of every discerning OutThere visitor to London. As a life-long Londoner with a keen interest in my city’s past I thought I had a pretty good understanding of its history, but staying here proved to be a real education and a genuinely delightful experience. Over a modern take on a pub lunch in their airy drawing room, Julian and Jean tell me their story and how they came to own such a remarkable place. 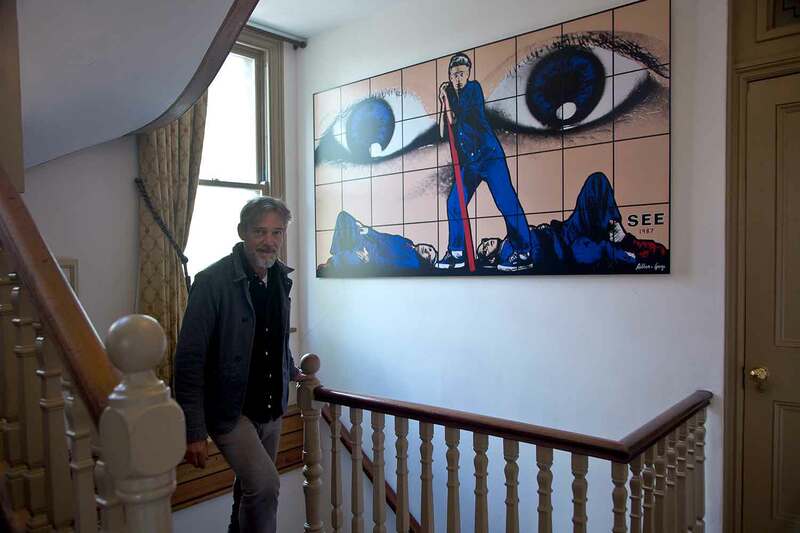 In the 1990s, Julian regularly collaborated with my hero Derek Jarman and as a film student, modelled for the contemporary artists Gilbert & George. 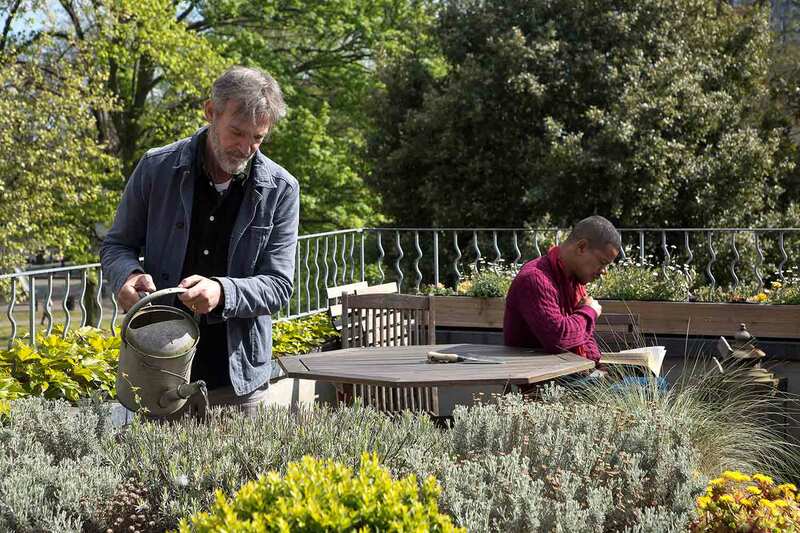 With Derek’s encouragement, Julian felt compelled to turn the lens back at the ‘living sculptures’ and spent the next fifteen years regularly filming them. The result is a remarkably candid feature-length film WITH Gilbert & George, which has been acclaimed as the definitive documentary on the eccentric artists. 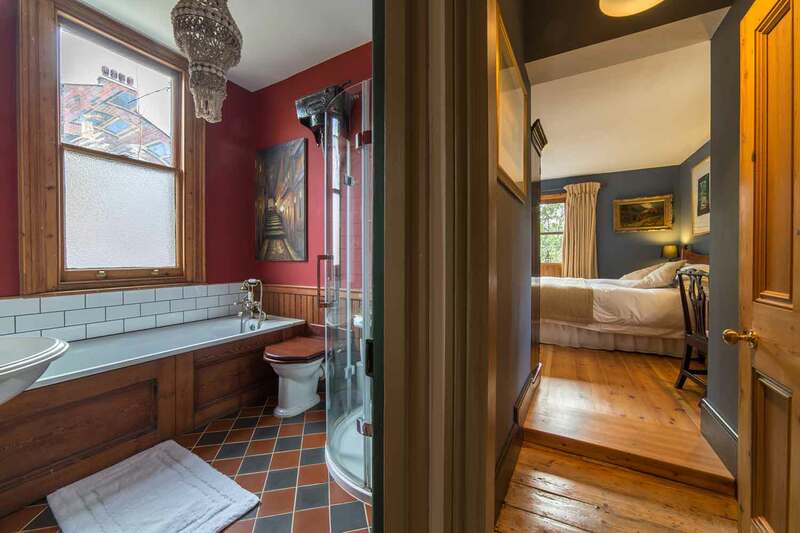 The experience solidified Julian’s belief that to create something of real value takes time, a philosophy that he has carried through into the Cable Street Inn. He first bought the building as a working (but barely surviving) pub twenty years ago. Its glory days well behind it, the pub was running at a loss and being an 18th-century building, it was in Julian’s words, “a bit wonky.” That, combined with the fact it was in a conservation area and therefore a protected building, meant that a lot of the more risk-adverse potential buyers were put off by the prospect of buying what could easily become a money pit. By the time Juian made his very modest offer to the owning brewery, it had been on the market for nearly two years and they accepted without hesitation. The amount he paid for it in 1997 however has been far superseded by the investment he has made, lovingly restoring and sympathetically extending the building. 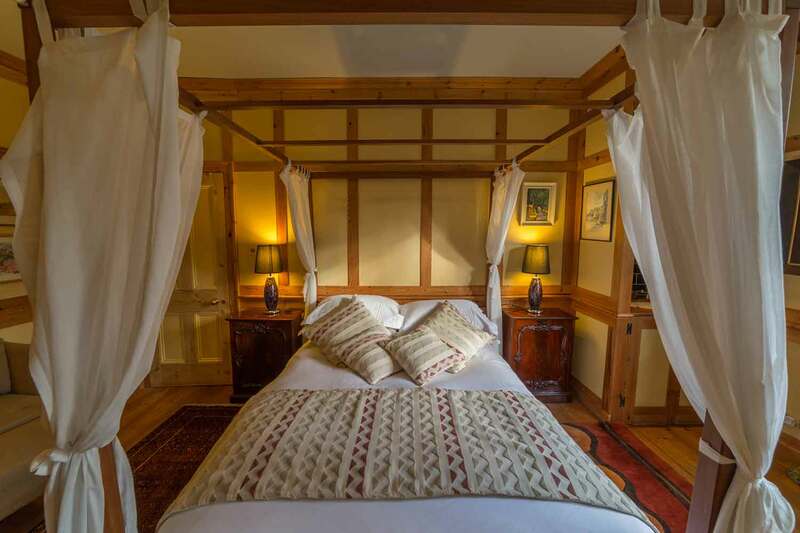 The inn now houses three generous guest bedrooms with en suite bathrooms and a glorious garden terrace where guests can sit in quiet contemplation of the surprisingly rural-like surroundings. 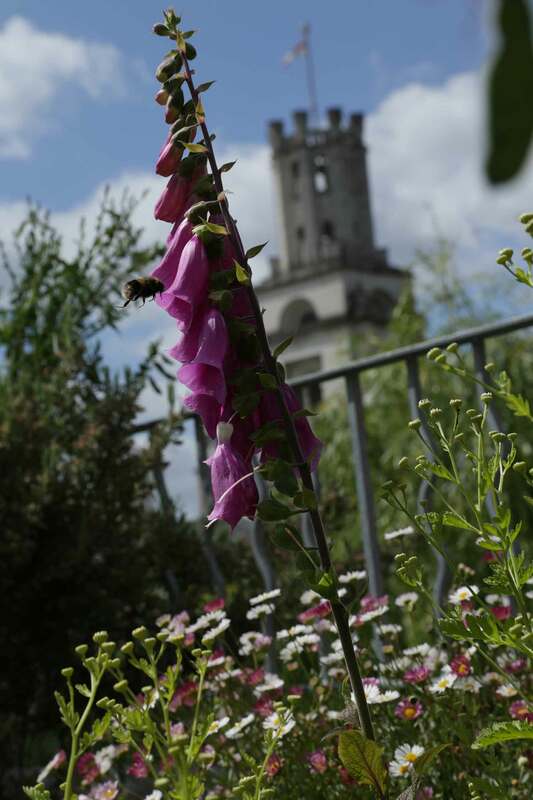 The garden sits in the shadow of the beautiful 1720 Hawksmoor church, St. George in the East. 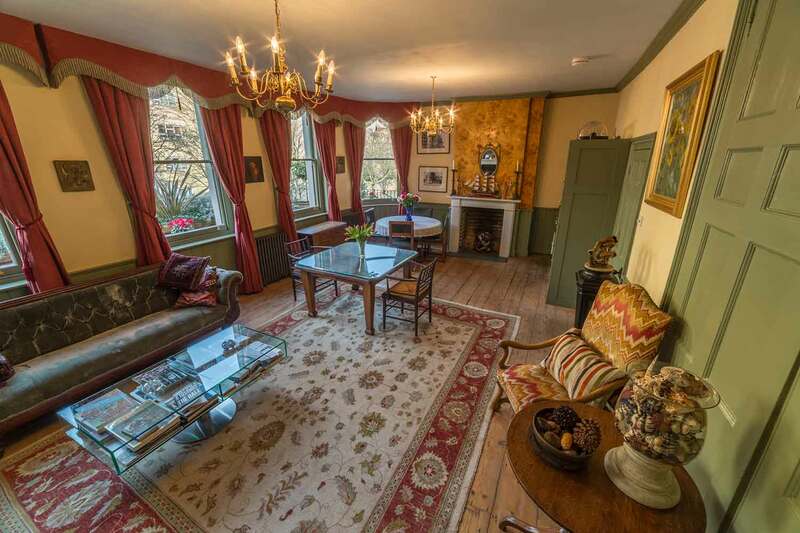 There is also a generously proportioned, period drawing room where guests can breakfast and chat to Jean and Julian – a situation the couple feel works well, giving the guests privacy, but also being on hand to offer assistance, to provide recommendations, or of course to point out some fascinating details of the history of the local area. Many visitors to London traditionally stay in West London and only ever see the well-trodden sights of the Royal Parks, major museums and expensive shopping streets of the West End. Some are lured by the British Film Industry into areas like Notting Hill, looking for something more authentic. But those who have done their research will know that to find the real London, both of the past and the present, you have to head East. When Notting Hill was barely a collection of fields, Cable Street had already been a thriving, international melting pot for hundreds of years. 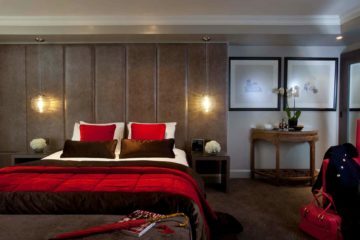 So for those looking for a quintessentially London experience away from the predictable tourist spots, the Cable Street Inn provides the perfect base. 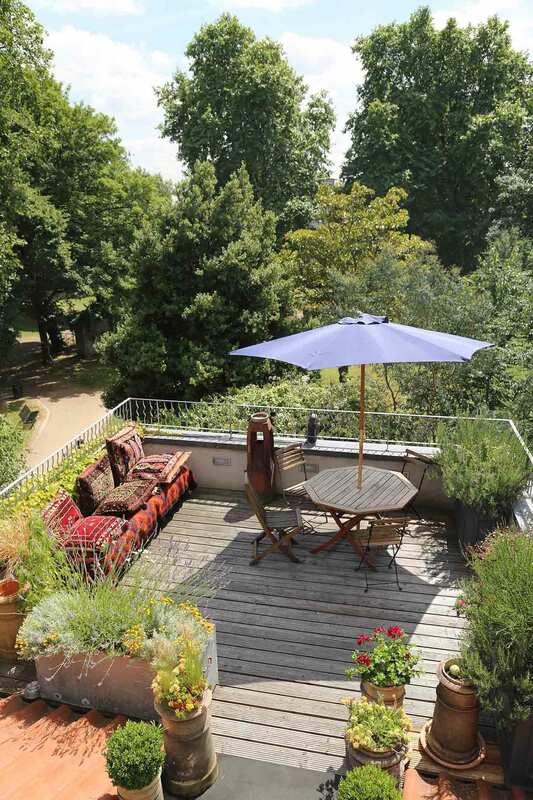 From here you can easily walk to some of the capital’s most interesting and diverse areas. To the south you have Wapping with its riverside walkways and Dickensian vibe. To the west you have the Tower of London which marks the beginning of the City of London, with its futuristic, monolithic architecture including the Barbican Centre and Lloyds of London, and just a few streets to the north you can lose yourself in the vibrant street life of Whitechapel, Brick Lane and Columbia Road. who settled here in the early 20th century. Among them were tailors, who in turn made many of the iconic slim-fitting suits that symbolised the British Mod movement of the 1960s. 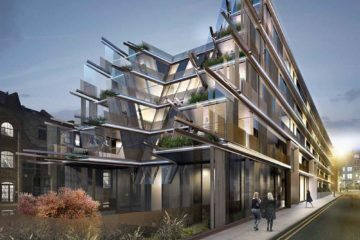 The area retains its fashion credentials – housing some of London’s top designers – and even has its own Fashion Street. In the 1970s, Bangladeshis arrived and opened up many restaurants in the Brick Lane area, so much so that it was coined the ‘Curry Capital of the UK’. 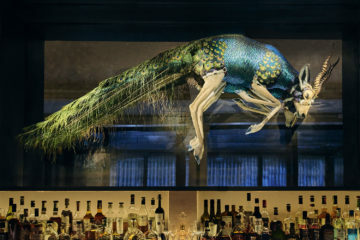 Recent years have seen a major influx of young, affluent, international, professionals moving in and bringing with them some of the UK’s most interesting shopping and eating experiences. 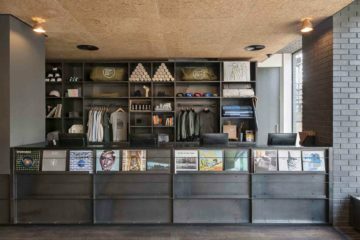 Today, cutting-edge designer boutiques sit next to cool coffee shops and florists that nestle themselves between 24-hour bagel shops and wholesale fabric stores. A particular historical gem which fits well with a stay at the Cable Street Inn is the nearby Wilton’s Music Hall, which retains its entertainment license along with its original décor. Music halls were a fundamental part of working class culture in the Victorian era. The UK’s equivalent to Vaudeville, they were rowdy, raucous and incredibly popular. At their height, music halls dominated the country’s entertainment industry. 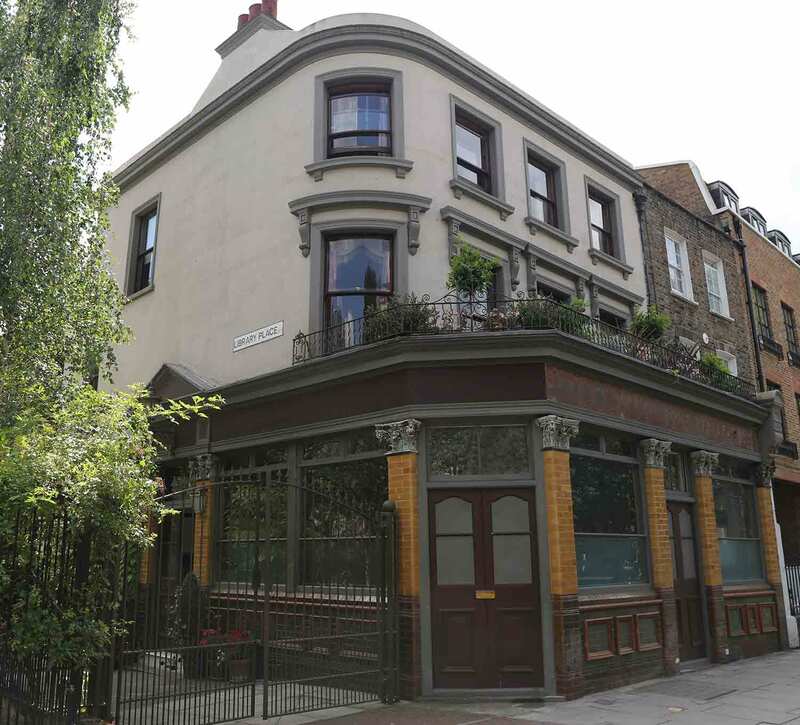 Many pubs, including the Cable Street Inn, would have had a space at the back with a makeshift roof that would house entertainment. Evidence of this was uncovered by Julian and Jean during their renovations. They found hundreds of small, clay, tobacco-filled pipes which were the pre-rolled cigarette of the day; once smoked they were simply discarded, hence the large number they found and subsequently have put on display along with numerous glass beer bottles marked with local street names – a reminder that the area was once filled with micro breweries, not dissimilar to the artisan breweries popping up here today. These fragile relics illustrate just how much importance public houses played at the time. Life was extremely hard, people lived in terrible conditions and were at the mercy of a ruthless, exploitative system. Very few had any kind of financial security at all and were forced to make a living in any number of unsavoury ways. So finding ways to escape the misery, through drinking alcohol or sharing a song, was almost essential for one’s survival. Cable Street sat in the middle of one of the most notoriously dangerous areas in the East End, so bad that it became a kind of shorthand for moral depravity. So it’s safe to say that if you can think of something unsavoury it stood a very good chance of happening right there: from the press ganging (forced conscription) of sailors, to muggings, to the infamous and ghastly slaughter of five local prostitutes by so-called ‘Jack the Ripper’ which occurred just a few streets away from the property. As late as the 1960s, the area was run by a pair of gangsters, known as the Kray Twins. The murderous duo, one of whom was openly gay, were known to frequent the Inn when it was a pub. Although the area suffered badly during the Nazi bombing raids of WWII, destroying much of the 18th-century architecture, a few good examples remained as did the massive Port of London docks. But when container shipping was introduced in the 1960s, with its reliance on humongous cargo ships that were too large for the narrow and shallow Thames to accommodate, the vast majority of the London docks closed. With them went the stability of employment they provided to thousands of local people, forcing them to move away to find work. For the next thirty years the area became a kind of no-man’s-land between the city and the outer suburbs, which was when Julian and others like him came to the area to instigate a change in its fortunes. A couple of years ago, a new ‘Overground’ train network opened, connecting East and South London with the existing Underground (or tube) making a huge difference to accessibility for large areas. Today, with the imminent opening of the London Crossrail station which will link the area to Heathrow airport by futuristic, high-speed trains, it means that change is accelerating at a rate not seen since the 18th century. In the midst of all this new development, Julian and Jean’s beloved Cable Street Inn provides a tangible link to the past that allows keen time travellers like me to experience a taste of a bygone era whilst being connected directly to the present and future.